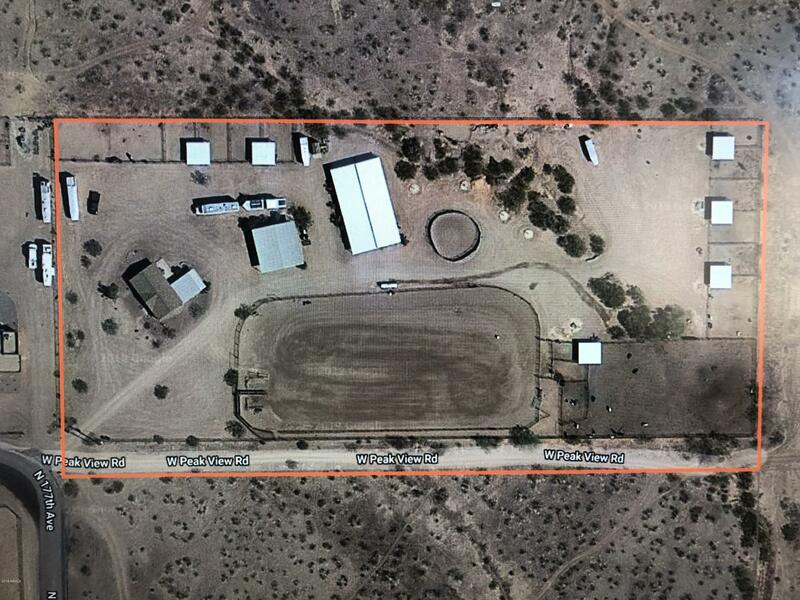 All Horse Property 5 acres homes currently listed for sale in Surprise as of 04/23/2019 are shown below. You can change the search criteria at any time by pressing the 'Change Search' button below. "COWBOY'S & COWGIRL'S THIS 5 ACRE HORSE PROPERTY IS SET-UP AND READY TO GO. LOW MAINTENANCE. THIS PLACE HAS WHAT HORSE LOVER IS LOOKING FOR. THIS 1080 SQ FT, 1999 MANUFACTURED HOME IS ADORABLE. SPLIT FLOOR PLAN WITH OPEN KITCHEN AND LIVING ROOM. ONE CAR CARPORT. STORAGE SHED. WASH RACK. FULL SIZE TEAM ROPING ARENA, HUGE STEER PEN'S, 8 STALL LIGHTED MARE MOTEL (16 X 16) WITH TACK ROOM, (2) - 40 X 40 PENS WITH NO COVER, (10) -30 X 40 PENS WITH PARTIAL COVER, ROUND PEN WITH 4 TIE UP POST'"